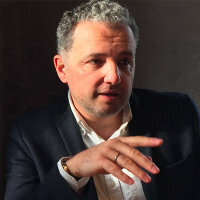 Cornel Ban joined City, University of London in January 2018 as a Reader in political economy. Prior to this he had worked as an assistant professor at Boston University and research fellow at Brown University in the United States. He was also a visiting researcher at the European University Institute and a visiting associate professor at Copenhagen Business School. Professor’s Ban’s work is situated at the intersection of international relations, comparative political economy, sociology and economic history. He wrote two books and a dozen articles and book chapters on the politics of economic expertise and income distribution, macroeconomic policy shifts and organizational shifts in international financial institutions and capitalist diversity in Brazil, Spain and Romania. His most recent book (Ruling Ideas: How Neoliberalism Goes Local, Oxford University Press, 2018) received the political economy award for 2017 of the British International Studies Association.